Dr. Diana Lee (New York) - Book Appointment Online! We offer the best dental care to improve your overall health and give you a confident, brilliant smile. Strong teeth and healthy gums are essential for overall health and well being. Whether you are a first-time patient or regular visitor, you will find compassionate, professional care that will exceed your expectations. 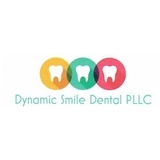 At Dynamic Smile Dental, our patients are partners in their care. We listen to their desires and work with each individual to create and maintain a beautiful, healthy smile. Our focus is not only on treating disease, but also on educating our patients so they can better manage their own oral health. Dr Lee is trained in the latest advances in dental treatment, and is empowered to focus on the best care for you and your family. With care and services for patients of all ages Dynamic Smile Dental can help ensure a lifetime of dental health. My visit was great! The office was very clean and the staff really friendly. I was seen immediately and the whole process went great. Will definitely go back!